The holidays can be a stressful time for everyone, especially children. Busy parents, a hectic and disjointed schedule, and time off from structured school activities all add up to an unhappy child. What can you do to help? 1. Set a schedule: Kids love structure. They need it. They need to know when to wake up and when to go to sleep. They need to know what they are going to do each day. Structure gives them security. During the holidays, however, school is out and their schedule is thrown for a loop. Help them by setting up a schedule of your own. As best you can, make sure they have a set time for activities, just like they do at school. This will give them a sense of security and stability during a hectic time. 2. Make it fun: Holidays are supposed to be fun, but frequently they’re just stressful. Bring the fun back. Have craft times, cooking times, and play times. Don’t get caught up in the holiday rush and forget what it is all about. Teach children the origins of the holidays, have puppet shows or plays, and sing classic songs. 3. Relax and remain calm: The most important thing to keep children stress-free is to be stress-free yourself. Remember to take time to relax. Take a break from the mad rush and just enjoy a cup of hot cocoa. Even when the parents and other people around you are going crazy, remain an oasis of peace and tranquility. Remaining calm is your best defense against stress. And if you are calm, the kids will be calm too. There are many things that are stressful about the holidays, but do not let them get to you. Fight back and regain your peace. Don’t forget what holidays are all about- togetherness and love. You can make a difference and give children happy memories of the holidays as they grow up and have families of their own. Nancy Parker was a professional nanny and she loves to write about wide range of subjects like health, parenting, child care, babysitting, nanny background tips etc. You can reach her @ nancy.parker015 @ gmail.com. I help by doing exactly what the author says to do. I will run errands with the baby if they need me to this week. Then on Wednesday the mother will be home cooking and it's a half day for the older kids. So I'm just going to keep them busy so their mom can cook. Great advice but how do I stop stressing. I can't stop stressing about all I have to do until Thanksgiving. I'm helping the family I work for but stressing about all I personally have left to do. One year I had to do most of the cooking for my boss as she had an anxiety attack about it. 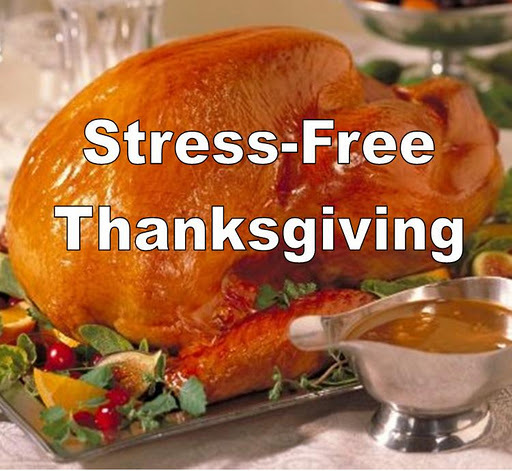 But otherwise I am stressed out enough at my own home getting ready for Thanksgiving. I like your advice to stay calm and collected and have some fun when with the kids during the holidays! The mom expects me to cook all the food except the turkey! I feel this isn't a nanny's job. I am stressed out because not only do I worry about my thanksgiving I'm worrying about theirs while I'm chasing kids around, doing laundry and cleaning the house. Baking on top of that??? I am way stressed out. Thanks for sharing those tips. This is really informative as well as an interesting post to read.